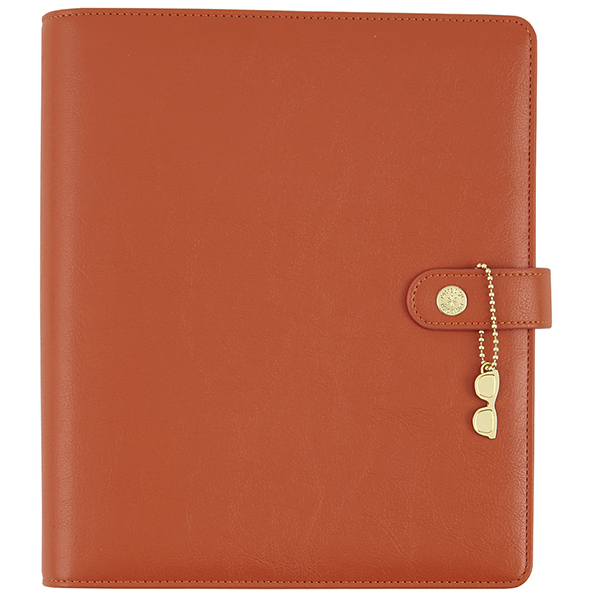 This is one (1) Persimmon A5 Planner. There are no inserts or dashboards. Has Gold Rings. You'll find Inside Pockets, Elastic Pen Loop and Metal Charm. Product by Simple Stories Carpe Diem Collection.